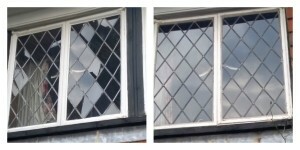 Stained glass design, repairs and gifts in Rye, East Sussex. Based in the beautiful historic town of Rye, East Sussex for over 6 years now, Diomo Glass has been busy working away for over 15 years on a varied range of work and projects. From college courses to spending over 7 years training on the job, experience has been gained through designing, repairing and rebuilding many, many windows as well as working on interesting projects such as glass sculptures for cruise ships and private yachts. 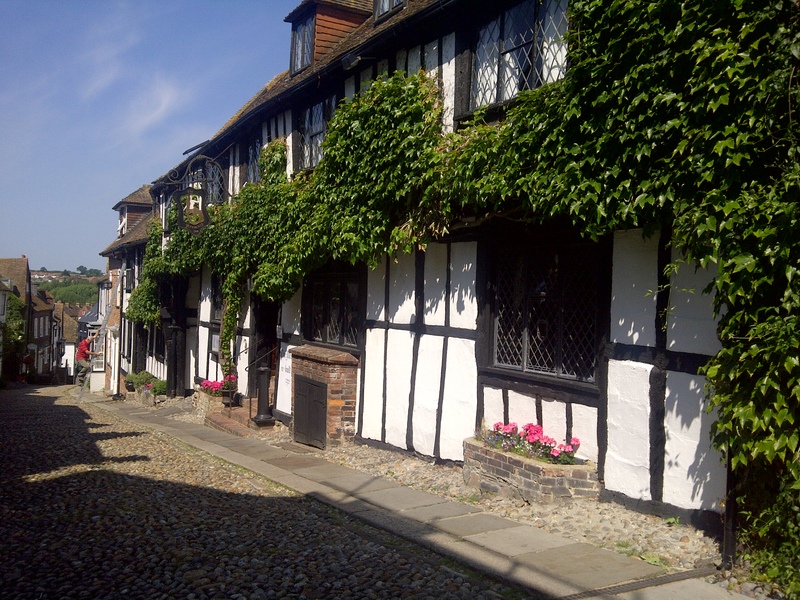 On-site repairs carried out at The Mermaid Inn, Rye. 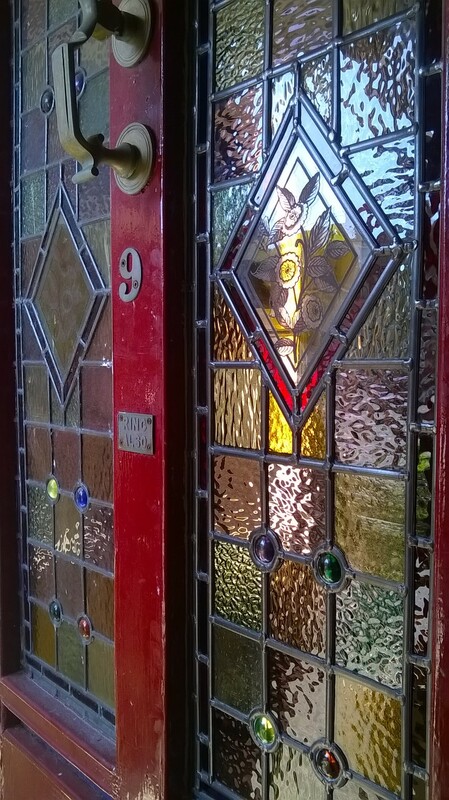 Diomo Glass is run by me, Susan Morris and window removal / installation carried out by Seth Morris. And yes, we’re married and we work very well together! We’ll discuss with you each window on an individual basis and will give you the options in which to go forward with as well as arranging times and dates to suit. I aim to bring back the shine and usefulness of every leaded light possible! And it doesn’t have to be a hassle either. 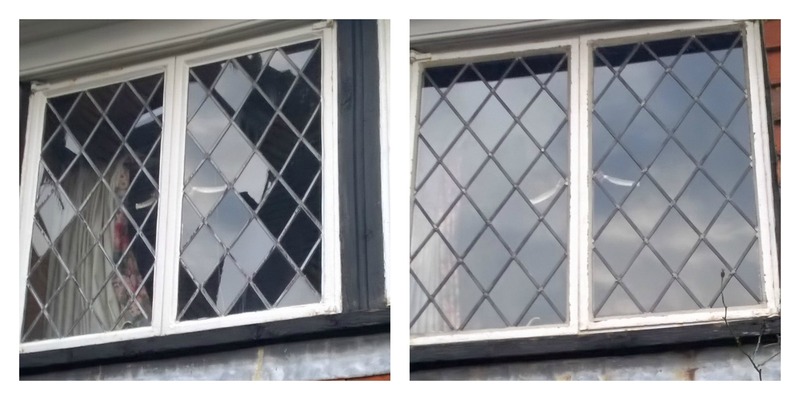 We can carry out individual on-site repairs in leaded lights to full window removal, rebuilding and re-installation as well as the designing, building and fitting of new windows. 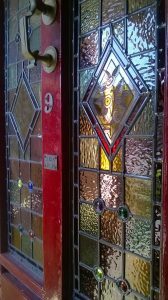 Windows can be boarded up or temporarily glazed and finishing work such as repainting the frames can also be carried out by us. Before and after rebuilding, Rye, East Sussex. Once you’re happy, we ask for a 30% non-refundable deposit prior to work commencing with the balance due upon completion. Any additional work will be discussed and agreed with you before being carried out. Covering Rye, East Sussex and surrounding areas including Northiam, Iden and Peasmarsh. We take pride in what we do and carry out our work to the highest standards possible. We even clean up after ourselves! Don’t hesitate to call or email us at info@diomoglass.co.uk if you have any questions.